Which unhappy Superstars could be forced to stay in WWE? According to recent rumors, a number of WWE Superstars are unhappy at their position in WWE right now including some top stars. 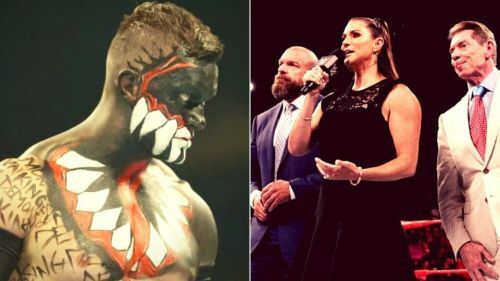 Some may want to leave the WWE and especially since AEW was officially announced, are glancing in that direction and keeping tabs on where it goes. However, despite quite a few unhappy Superstars recently released, there are some unhappy stars who Vince McMahon will definitely NOT allow to leave the WWE because they will immediately get signed up by WWE's competition. Some argue that WWE have too many Superstars are on the roster for everyone to get used properly and they may have a point. Let's take a look at some unhappy WWE Superstars who definitely won't be allowed to leave the WWE. You have to feel for Rusev. He's done everything in his power to be the best he can be but WWE never gives the guy a proper chance. Rusev is in the best shape of his career and has the fans behind him but WWE just never seems to care. We thought it was a turnaround for Rusev's fortunes when he won the WWE United States Championship recently but of course, it wasn't. He lost it to R-Truth soon after before WWE turned the popular babyface heel again. Rusev would be a top star in any other promotion in the world and I think he knows it. He's the kind of guy, who if WWE allowed him to leave, would return a couple of years later as a top star on the independent scene (unless AEW snapped him up). Vince McMahon knows he can't let someone as talented as Rusev leave for the competition and will keep him on the roster until his contract runs down.